What: Confused by nutrition information and ‘what’s good or bad for you’? 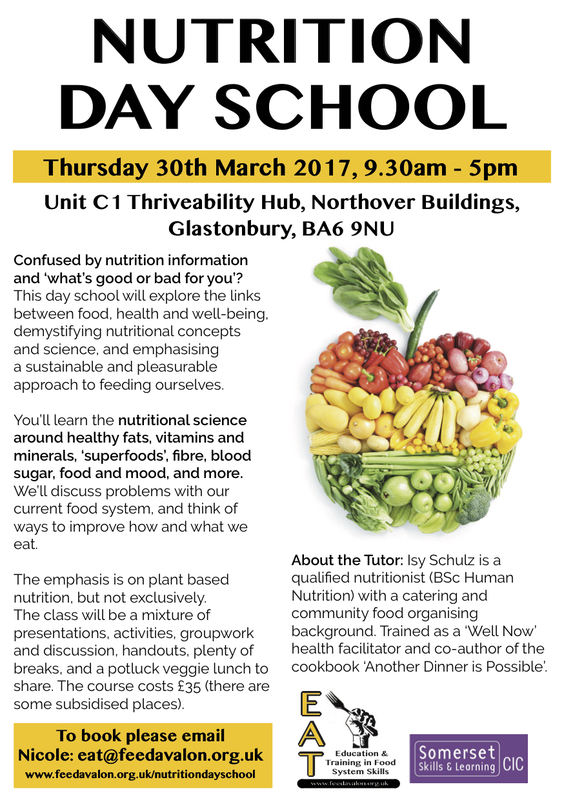 This day school will explore the links between food, health and well-being, demystifying nutritional concepts and science, and emphasising a sustainable and pleasurable approach to feeding ourselves. You’ll learn the nutritional science around healthy fats, vitamins and minerals, ‘superfoods’, fibre, blood sugar, food and mood, and more. We’ll discuss problems with our current food system, and think of ways to improve how and what we eat. presentations, activities, groupwork and discussion, handouts, plenty of breaks, and a potluck veggie lunch to share.